Thomas Kemp is developing a reputation as one of the finest and imaginative conductors of his generation. The Guardian recently commented "...an extraordinary performance...with a fluency that came over brilliantly under the baton of Thomas Kemp." He read music at St.Catharine's College, Cambridge and studied violin and chamber music at the Royal Northern College of Music. He has since enjoyed a worldwide career as a chamber musician and concertmaster and is increasingly in demand as a conductor. 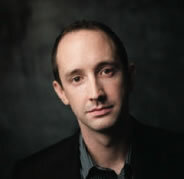 Matthew Sharp is a polished polymath performer – appearing at major venues and festivals worldwide as a solo cellist, bass-baritone and actor. 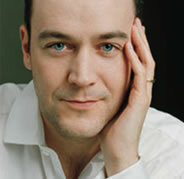 He has appeared with the RPO, LPO, RLPO, CBSO, EUCO, Manchester Camerata and Ural Philharmonic, and performed principal roles for ROH2 (Exposure, Pleasure's Progress), Opera North (Papageno, Pied Piper), Almeida Opera (The Silent Twins) and the Young Vic (Wolf and Hero). 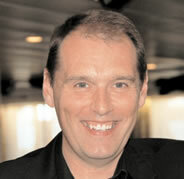 John Mills began studying the violin in Southampton in 1990 and in 1996 he gained a place at the Hampshire Specialist Music Course and joined the National Youth Orchestra. Two years later, John gained a place at the Royal College of Music where he studied as a scholar under professor Rodney Friend, one of the great orchestral leaders, for five years. He also participated in master-classes with Hugh Bean CBE, Ida Haendel and Zvi Zeitlin. 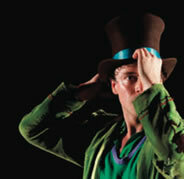 He became a ‘Making Music’ (National Federation of Music Societies) recommended artist in 2003-2004. The band tours overseas regularly, and aspires to attain the highest standards of musicianship within a social and friendly environment. Mike is a Director of Music in the Army and until recently conducted the band of the Grenadier Guards. He is now a Staff Officer at the Royal Military School of Music. Mike joined the Army as a clarinettist and went on the Bandmaster Course at The Royal Military School of Music, Kneller Hall. He graduated in 1996, winning the Commandant’s Prize and the coveted Worshipful Company of Musician’s Medal for best all-round Student Bandmaster of the Year. Over the past decade the Sacconi Quartet – founded at the Royal College of Music where they studied music – have enjoyed a highly successful international career, performing throughout Europe, at London’s major venues, in recordings and radio broadcasts. 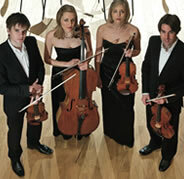 For five years, the Quartet has held the Sacconi Chamber Music Festival in Folkestone, Kent. The Sacconi performed their 10th birthday celebratory concert at King’s Place, London in January this year to a sold-out hall. BBC Radio 3 broadcast a Sacconi concert from the Music in May Festival in St Ives and their new Czech disc has been featured on Classic FM as well as BBC Radio 3. The Quartet have given fifteen world premières and three British premières. And they recently performed on Paul McCartney’s new song Come Home. 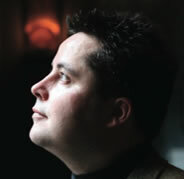 The James Pearson Trio is one of the finest Jazz Trios in Europe. Over the past three years they have regularly performed as the 'house trio' at the historic Jazz Club, Ronnie Scott's, in London where James is the Artistic Director. Their most recent album Swing the Club, recorded at the venue, has attracted universal acclaim from the critics for both James and the band. 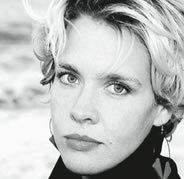 Vocalist Polly Gibbons was nominated for a BBC jazz award in 2006 and has gone from strength to strength ever since. She has two albums released in Japan to high critical acclaim and this year will see the release of two new albums. One jazz album is with James Pearson and the other is a unique project of songs co-written with Chaz Jankel and Sean Hargreaves. 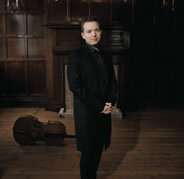 Since his critically acclaimed concerto debut at the age of ten, the award-winning English cellist Richard Harwood has performed in major venues including London’s Royal Albert Hall, all of the South Bank Centre venues, the Wigmore Hall, Musikverein (Vienna), Alte Oper (Frankfurt), Thomaskirche (Leipzig), and the Auditorium du Louvre (Paris). 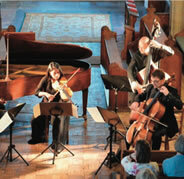 Concerto performances have taken Richard throughout Europe, New Zealand, and Russia. 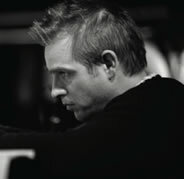 He has collaborated with conductors such as Okko Kamu, Marko Letonja, Douglas Bostock, David Parry, En Shao, Shuntaro Sato, and Yehudi Menuhin, and been soloist with numerous orchestras including the London Philharmonic Youth Orchestra, Bournemouth Symphony Orchestra, The Philharmonia, Auckland Philharmonia, and the Ural Philharmonic. Leon has given notable recitals at the Lincoln Center and Frick Collection in New York, Hong Kong Arts Festival, Philharmonie and Konzerthaus in Berlin, Rudolfinum in Prague and the Wigmore and Queen Elizabeth Halls in London. His CD recordings have impressed critics, achieving such accolades as “Editor's Choice” and “Critic's Choice” in Gramophone and a Diapason d'Or for his set of the Complete Mozart Piano Sonatas. Ruth Bolister studied at Clare College, Cambridge, The Royal Academy of Music in London and the Karlsruhe Hochschule fur Musik. 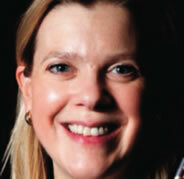 In 1990 she was runner-up in the woodwind final of the BBC Young Musician of the Year Competition before winning first prize in the Isle of Wight International Oboe Competition in 1993, which led to her Wigmore Hall debut. She has also appeared as a soloist at the Wigmore Hall as part of the Tillet Trust's Young Artists' Platform and the fiftieth anniversary celebrations for the oboe manufacturers T.W. Howarth and Company. Under its artistic director, Thomas Kemp, Chamber Do- maine has become renowned for its virtuosity and its distinctive programming that ranges from the Baroque through to the Contemporary. 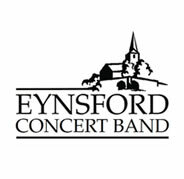 The ensemble made their South Bank and Wigmore Hall debuts in 1999 and have since performed at leading festivals and concert series in the UK, Europe and America. They have had residencies at the Victoria and Albert Museum, the Imperial War Museum, the Arnold Schoenberg Centre in Vienna, Gresham College and Bargemusic in New York. 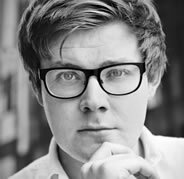 Born in 1988 in Liverpool, Mark Simpson became the first ever winner of both the BBC Young Musician of the year and BBC Proms/Guardian Young composer of the year competitions in 2006. He studied clarinet with Nicholas Cox at the Junior School of the Royal Northern College of Music and now studies privately with Mark van der Wiel. He read Music at St. Catherine’s College, Oxford graduating with first class honours and in 2012 completed an MMus in composition with Julian Anderson at the Guildhall School of Music & Drama supported by the Ralph Vaughan Williams Trust.